SHANG XIA is a soulful Chinese brand, created by Jiang Qiong Er and French luxury brand Hermes. It aims at protecting and celebrating traditional Chinese craftsmanship, but with modern contemporary design. 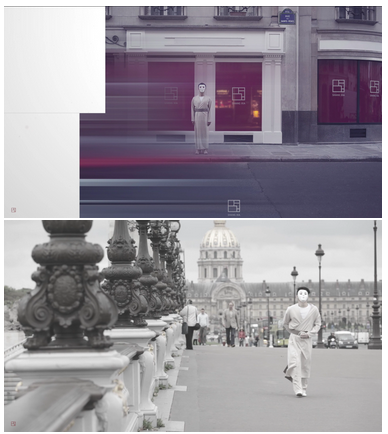 To touch the soulful audience, honestly interested in the brand’s way of life and philosophy, on the occasion of SHANGXIA-opening-in-Paris, we invented the story of a mysterious masked man, wearing the traditional Han Fu. He traveled from China and brought the “culture” seeds to Paris. We let the curiosity grow in social networks until the brand revealed the truth in the official opening. This case found the right balance between social media conversations’ rules, and the spirit of a luxury soulful brand. FRED & FARID GROUP is a digital communication group based in Paris and Shanghai founded by Frederic Raillard and Farid Mokart, Cannes Grand Prix 2009 winner.